With the help of our experienced professionals, we are providing a comprehensive gamut of Glossy Floor Tiles. The offered elegant series of tiles is used in restaurants, hotels, resorts, malls, residential complexes for enhancing their interiors. Processed using top grade ceramic and innovative technology, these tiles are highly appreciated by our valued clients. We also assured our clients for smooth texture and exceptional luster of the tile. 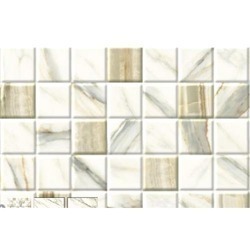 Furthermore, our offered series of tiles is available in variety of exclusive designs and patterns.